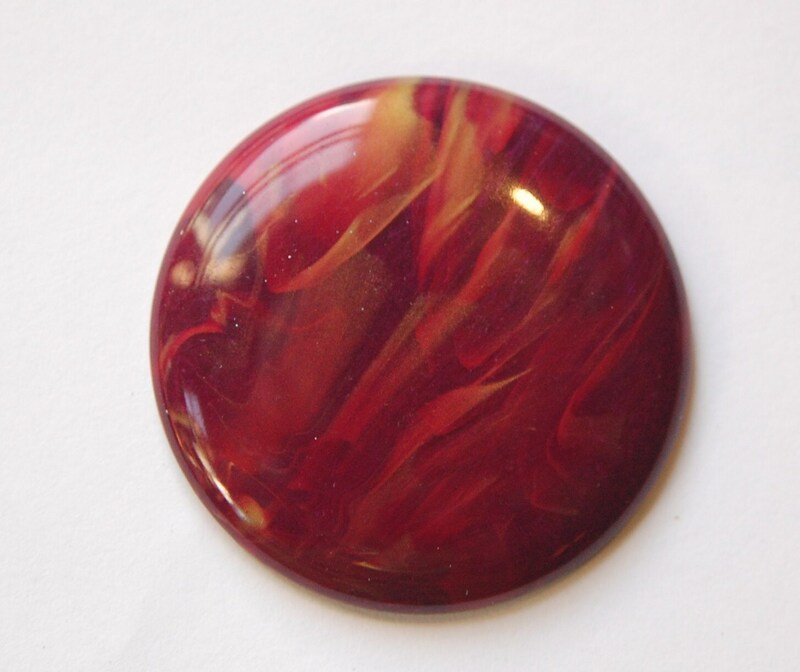 This is a vintage lucite cabochon that was made in Italy. The color is a burgundy red with random swirls of gold. These measure 45mm. You will receive 1 piece. Very nice item, securely and promptly shipped - thank you! One of my longtime favorite sellers. Lots of wonderful items - lovely, of good quality and often unique. Nice prices and fast shipping too.